With the World Cup in full flow, we thought we would give you a few sporting ideas to help improve your action and sports photography. Motion photography gives you plenty of opportunities to capture dramatic and vivid imagery that will last you a lifetime. Consequently, action and sports photography is the only type of photography that presents heart-pounding action and provides the opportunity of shooting in unique ways. Here at iPhotography™ we will give you plenty of handy hints and tips to help you perfect your shutter speed techniques because you don’t want miss the action during this huge sporting season. 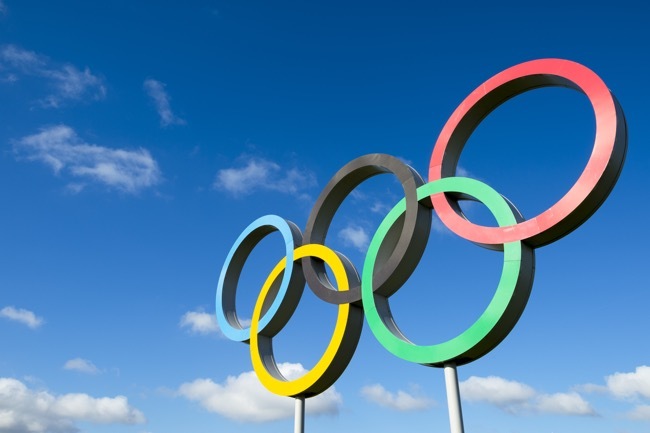 When shooting your children’s sports day, football matches or even professional sports such as the Olympics, flash photography is usually frowned upon or in a lot of cases strictly prohibited (this is down to the obvious reasons of causing distractions). Similarly, think back to Tom Daley diving in the 2012 Olympics and the camera flash that put him off and meant he had to dive again. Usually in sporting situations, indoor arenas are well lit with fluorescent lighting, so the area is bright; after all, they want to ensure the audience has the best view possible. On the other hand, outdoor arenas rely on natural light. This is where action and sports photography can become difficult, especially if the sun is glaringly bright or it’s a dull day. You have no control over the elements, so it’s important to understand how to use your ISO and other camera settings. Remember: Before attending events, check whether you are allowed to use your camera; some places even have the authority to confiscate your camera equipment before you enter! Most of you will have experienced the frustrations of bad lighting at some point, especially when it comes to action and sports photography. Sometimes you just can’t get your shutter speed fast enough to capture a nice, sharp image. Occasionally you may have been faced with such bright conditions that you can’t capture the sharpness you desire. However, both of these situations are common but luckily you can use your ISO to assist with these issues. Raising the ISO on your camera will allow you to shoot using a faster shutter speed, giving you a better chance of a successful action shot. As a result, the sensor will become more sensitive to light and therefore enable you to use a faster shutter speed. Lowering the ISO will enable you to slow the shutter speed of your camera (if needed) and make the camera less sensitive to light; therefore, if you are shooting in very bright conditions, it will enable you to have more control over the shutter speed you wish to use. ☀ If it’s sunny, you’ll want to keep your ISO around 100. ☁ If it’s cloudy, you may want to boost this up to around 800. Be careful when increasing your ISO. It’s best to increase it gradually, as the higher your ISO the more chance of grain being present within your image. Action and sports photography can create some of the most aesthetically pleasing images out there – think Sky sports, ESPN, Inside Sports and many more successful sporting magazines! When taking your images, remember to add your own style – be original and creative, try different angles, locations, and backgrounds. Every action or sporting image is different, but it’s down to you as the photographer to make the shot exciting and unique. When focusing on your action and sports photography – don’t forget where you are. This might sound very silly, but when in a stadium full of cheering fans, use that opportunity to capture the spirit and atmosphere of the game. Before and after shots are a great way to capture the atmosphere and excitement (or disappointment) within the stadium of the high energy fans. These before and after shots can piece together the journey and story; capturing the cheers (or the tears) can add interest to your shots – it makes your audience feel drawn to your images through emotional connections. Timing is crucial. 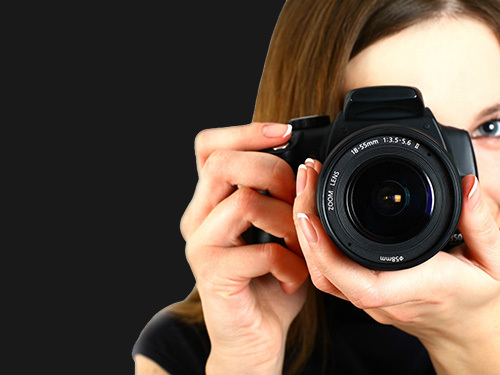 Therefore it’s your job as the photographer to spot the photographic opportunities. You need to look and anticipate where (and how) the action will develop and unfold. You must be ready to capture the moment at the click of a button… no-one said this job would be easy. There are certain points of action that can be frozen more easily than others. Hence, knowing your sport is essential if you want to know how to capture the best images. 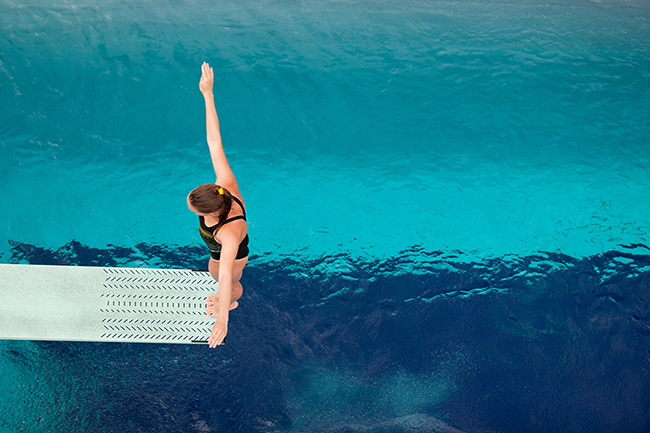 For example, taking a photograph of a diver leaving the platform: It is more likely that you’ll get a frozen shot just as the diver leaves the platform (suspended in mid-air) than when they reach top speeds entering the water. Tip: Whenever possible, shoot in continuous mode to capture some nice action sequences. As always, you are trying to tell a story and capture real moments; it may be worth following the progress of a certain individual so that you can diarise and record the events/progress. This could be either a friend, a child or simply your favorite sports star? Panning is not about movement, it is movement, and that’s what makes it challenging! It’s the following along of a moving subject, whilst it’s in motion. Most often it’s a horizontal plane featuring the subject, whether that be a runner, a rider, a motorcyclist or a race car. The effects of panning can be extremely effective but are also difficult to get right. · Panning shots involve the subject being crisp, clear and in focus. · The background should be blurred, creating motion and a strong sense of movement. If you wish to know more information on this technique, then visit module 4 of iPhotography Course. Module 4 gives you much more detailed information on how to use your shutter speed to create these shots. · You can cause the subject to appear like a ghost, leaving a mere imprint of themselves behind within the frame. · You can create a sense of hustle and bustle somewhere busy; this may include a few people standing still (who are sharp), along with others moving all around (that are blurred). Typically, you’ll need a shutter speed of a few seconds or longer to allow for enough exposure time, but please bear in mind that with shutter speeds slower than 1/30 camera shake is highly likely. 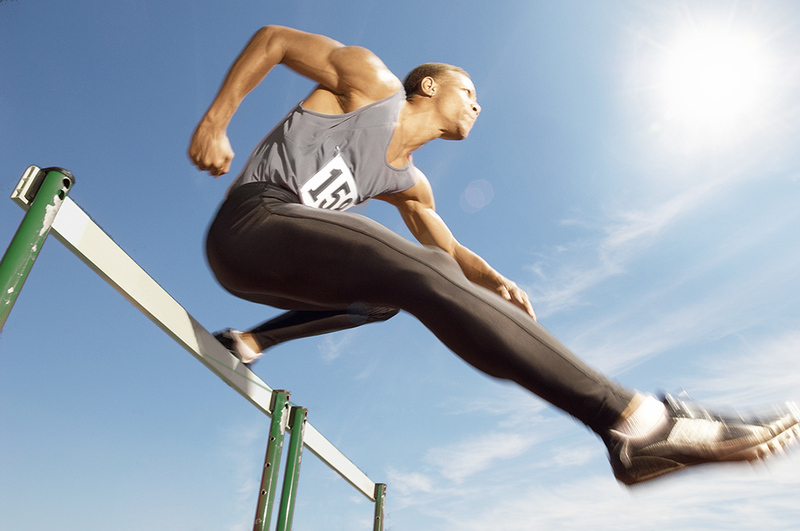 Sports are often extremely fast-paced. 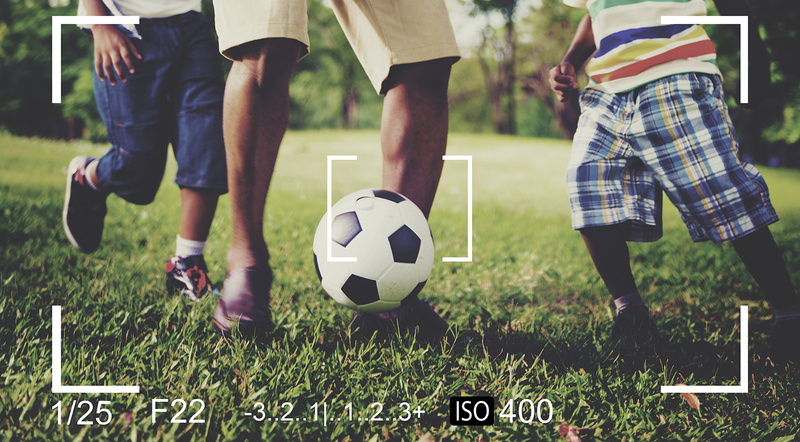 You can use your sports mode on your camera (which automatically freezes action), but if you want more control over your shots then set your camera to Shutter priority or Manual mode. Depending on how much ambient light you have, you may be able to set your shutter to 1/500 or even at 1/1000 second; this will allow you to capture extremely fast motion, however, you’ll need to use a really wide aperture to allow enough light into your camera – something like f/4 or larger. Next, all you need to do is press halfway down on your shutter release. Then, once your camera is focused, press all the way down to capture the action. Motion blur occurs when the shutter speed is slow and there is movement within a single frame, not necessarily across the frame. For example, if your shutter speed is at 1/30th of a second and there is someone moving in your frame, that person will come out blurry in the image. Motion blur is caused when the shutter is left open or ‘dragged’ when objects are moving in the scene. So there you have it. We hope the action and sports photography tips we’ve shared inspires you to get out there and capture the action! Step outside of your comfort zone and experiment with your settings. Try using a range of these techniques. Don’t forget to upload your sporty, action inspired shots to the private iPhotography gallery; we can’t wait to see your results!